According to the Bible, water covered the whole world during Noah’s Flood. Have you ever wondered where it has all gone? Even if the glaciers and ice caps melted, the oceans would only rise some 70 m (230 ft), yet Mt Everest rises 8,848m (29,029 ft) above sea level. 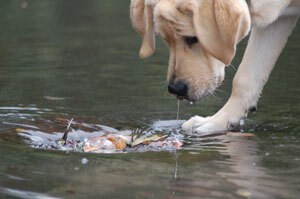 It may surprise you to learn that we don’t need any more water to cover the earth. There is already enough. The reason water doesn’t envelop the globe now is that the earth’s surface is uneven. The ocean basins sit low and the continents sit high. 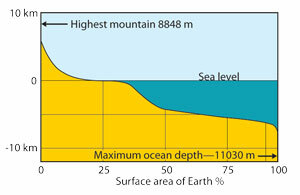 Some mountains are especially high and some ocean trenches are very deep, but these extremes do not account for a large percentage of the earth’s surface (see graph). 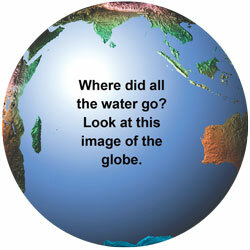 If the earth’s surface were even, then there is enough water in the oceans to cover the globe to a depth of about 3 km. This suggests that, during the Flood, the ocean floor moved vertically relative to the continents, something mentioned in the Bible (Psalm 104:8 NASB). In the first half, the pre-Flood ocean basins rose and the pre-Flood continents eroded down until water covered everything. That does not mean the earth’s surface would have to be completely even. The ocean basins would have only had to rise enough for the water to cover everything. So where did all the water go? It is in the ocean. The hypsographic (Gk. 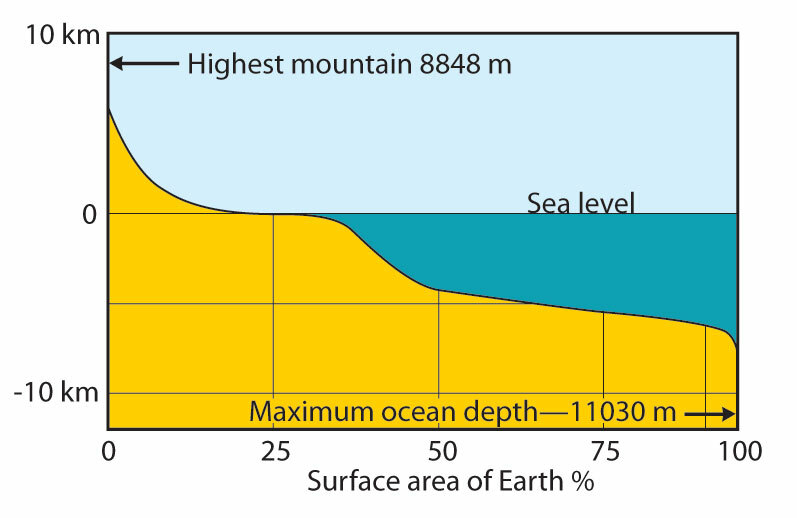 hypsos=height) chart shows the amount of the earth’s surface at (or higher than) various elevations.1 It illustrates that if the ocean basins were pushed up 5 km and the mountains shaved off, water would cover the entire earth. Such tectonic movements seem huge to us, but compared with the radius of the earth, (6,378 km), the movement is tiny, less than 0.1%. 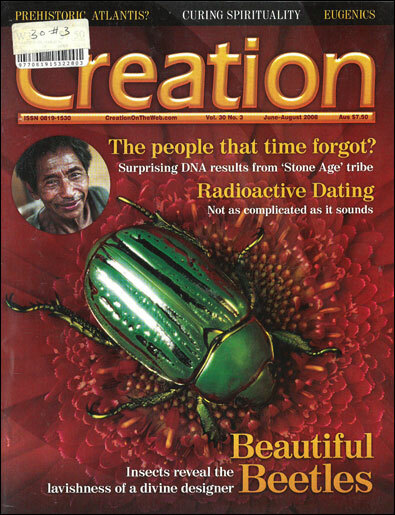 Oard, M.J., The mountains rose, Journal of Creation 16(3):40–43, 2002.